George Yeo: Retiring from overseas career. Returning to politics? THE grape-wines and gossip mills have been running overtime ever since George Yeo shared on Facebook on Friday that he’s coming home, having finally decided to put family first over career. The former Singapore Foreign Minister, going on 65, feels it’s ripe time to call it a day as the chairman and executive director of Kerry Logistics Network (KLN) in June in order to “spend time with family and pursue other interests”. Over seven years, he has been chairman of the Hong Kong company after a distinguished political career spanning 23 years, which ended on a downside note when his six-member team lost the Aljunied GRC in one of the biggest shocks of the 2011 General Elections (GE). They lost to the opposition Workers’ Party, led by the then-Secretary General Low Thia Khiang. His lawyer-wife Jennifer Yeo, 60, was diagnosed with a rare form of nose cancer two years ago. In February 2018, Mr Yeo said she had responded well to her treatment in the United States, adding that a full check-up showed “no trace anymore of her cancer”, though she will have to be “under close surveillance” in the first two years. 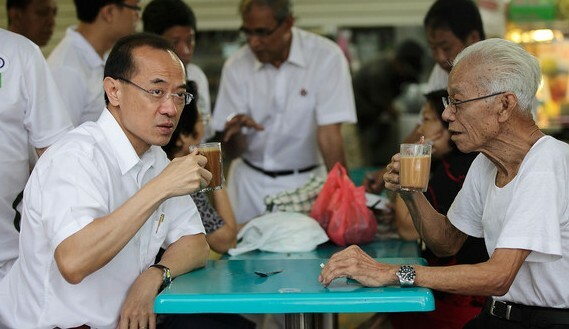 News of him throwing the proverbial white career flag sparked heartland speculations over the weekend that Mr Yeo, who joined politics in 1988, when he represented the Aljunied GRC under the-then Kampong Kembangan division, may make a political comeback – either in the upcoming, yet-to-be-decided, GE 2019 or perhaps at a PE (Presidential Elections) in the near future. 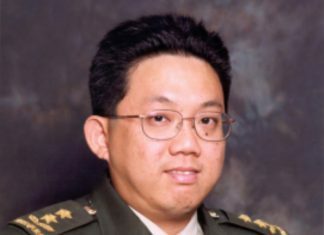 Mr Yeo, with a BG (Brigadier-General) rank while in the Republic of Singapore Air Force(RSAF), became a minister in 1991 and served in various ministries, including the then Ministry of Information and the Arts (1991-1999), Ministry of Health (1994-1997), Ministry of Trade and Industry (1999-2004) and Foreign Affairs (2004-2011). Neither Mr Yeo or his wife of 35 years, Jennifer Yeo, were available for comment. But those close to the Yeo family say that the couple hardly discussed future political options since he formally made the Facebook announcement of an end to an overseas business career. Tongues first started wagging when Emeritus Senior Minister Goh Chok Tong announced in February that “George Yeo is back with the Aljunied Team…he is fighting fit”. It turned out to be a Lunar New Year teaser which crackled the hearts of many netizens. Opposition politician Goh Meng Seng thinks that a “real fighter will pick himself up” and points to Mr Yeo returning to politics but “not joining Tan Cheng Bock’s party but most probably the PAP”. Mr Yeo’s former schoolmates at St Joseph’s Institution (SJI), then along Bras Basah Road until the mid-1970s, including this writer, believes he has a lot to offer to Singapore. SJI hockey and football stalwart Kalwant Singh, now residing in Los Angeles, USA, describes Mr Yeo as “one of the nicest chaps I have ever met”. He says: “In politics you meet folks who are hell bent on their agenda. George never seemed like one of those. Prominent lawyer Alfred Dodwell is of the view that Mr Yeo, who once represented the Eurasian community in the Cabinet at their request, would make an “excellent future President”. The Managing Director of Dodwell & Co LLC says: “My first thought was he might run for the presidency and he would have my vote as he would be an excellent choice as he has the stature, experience, personality and gravitas to carry that role with the dignity and respect it commands. Past President of Eurasian Association (1989-1991) Victor Olsen salutes Mr Yeo as an “intelligent, very well read and respected world-class statesman”. He says: “I believe his wife’s serious health issues gave him a more profound appreciation of the true meaning and value of family and life. The continuing gossips of a returning political comeback will go on as Mr Yeo, coming on to 65 in September , is a fitness-freak and can last a longer distance even after he retires from an overseas career. Simply because the popular heartland view from Jurong to Joo Chiat, Woodlands to Whampoa, is that the former Foreign Minister can capture the political aspirations of the younger generation, even synch with the 4G(fourth-generation) leadership and, most significantly, make positive Singapore-centric contributions.